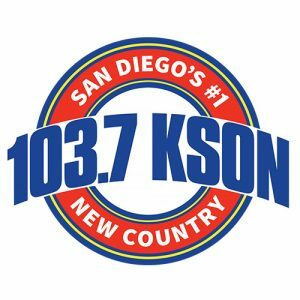 Since 1976, I’ve hosted a radio program on Sunday evening called “The Bluegrass Special” on 103.7 KSON-FM in San Diego. Click here (or on the logo below) to visit the website. If you look for the Bluegrass Special under the “On Air” drop-down menu, you’ll find information about my show as well as a few blog posts and “The Bluegrass Bulletin Board” which keeps listeners informed about upcoming bluegrass events. Don’t know if you remember me or not, but I was the fiddler with New Road when you and LeRoy did the Sunday morning chapel service at IBMA a few years ago. Just stumbled onto your website, and wanted to say howdy! Lots of things have happened to me since you say me last. I was called into the ministry about 5 years ago, and pastor a small church now in Beechgrove, Tennessee. Still play Bluegrass too (of course). Check out our new website. Well, you take care Wayne. God Bless! Yes I do remember New Road and still play those New Road CD’s you gave me on my radio show from time to time. I became a New Road fan at those IBMA chapel services. I could always tell that the Gospel was not just a style of music you played … it was what you were all about. If I’m ever in Beechgrove Tennessee I’ll definitely come hear you preach! Many blessings to you and the rest of the band. Forgot about that song! My old friend Yohann Anderson put that song in his songbook many years ago. Actually it is incorrectly attributed to me, although I did change some of the lyrics and probably changed the melody a bit too when I did it. The original song is found on an album by banjo player Doug Dillard “A Reason to Sing.” I don’t think the album is still in print but you may be able to find a copy online.